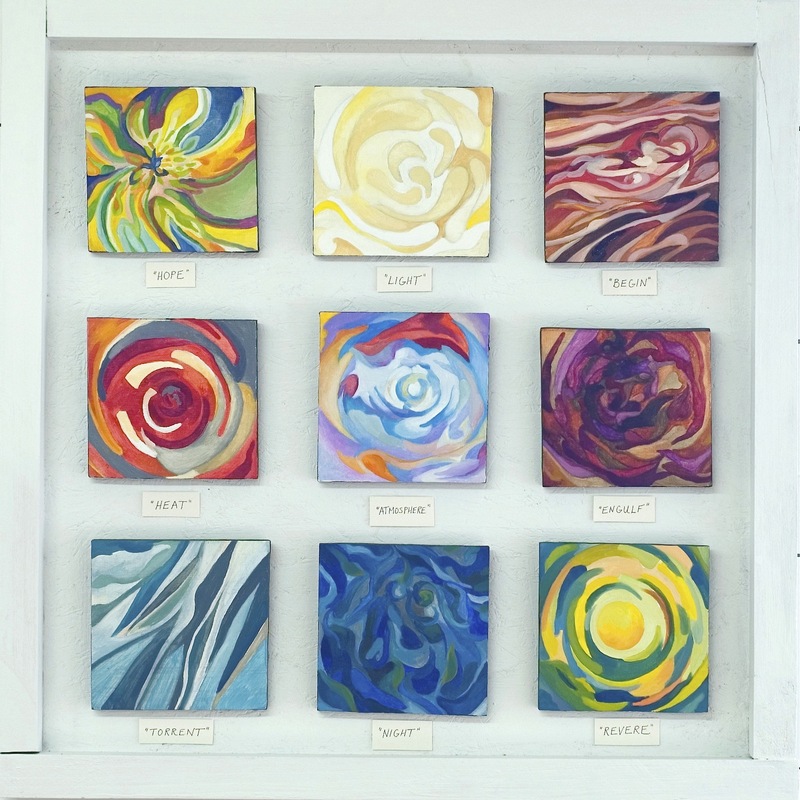 This nine piece series (each 6″ x 6″ oil on .5″ birch panel) imaginatively envisions the process of personal growth through playfully representing some fundamental components within this human experience. $1200, or $200 each. 30″ x 30″ Limited edition giclee print available in digitalized format with corresponding titles below each for $95. It aims to marry growth and change with positivity and inspiration. Detail of above series. 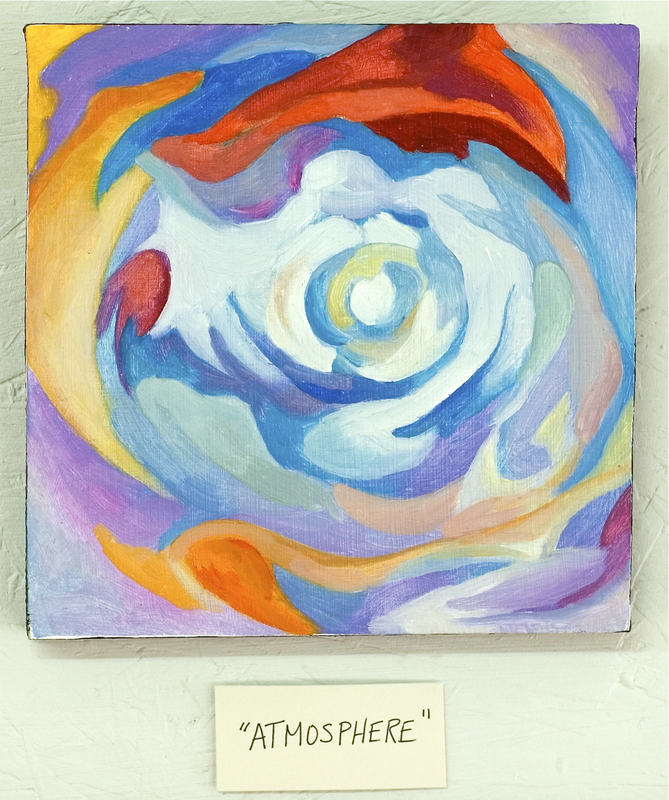 6″ x 6″ oil on .5″ birch plywood. $200.